I am quite astonished that here in Europe native American “Dreamcatchers” are so very popular. I would not be surprised if native Americans are quite sad about the way those Objects became popular and available at any funfare cheaply made just to earn money on it. So here is the alternative I used with my kids to catch theire bad dreams. 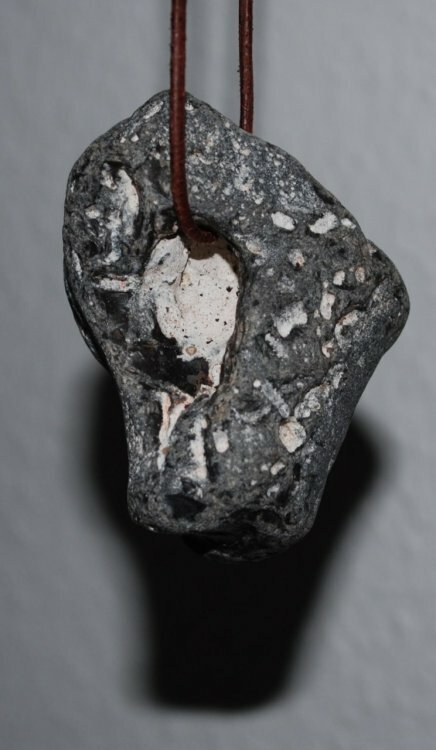 Hag Stones, Adder Stones, Drudensteine or Hühnergötter are quite old Charms to protect cattle or family from evil. These Stones with a natural(!) hole inside are most common at the Baltic coast, at the German Ocean or at British shores. But they can be found at almost any Coast around the World or with great luck also anywhere else (see “Linsensteine”). Since they are more common in the European North, they are mainly mentioned in the magickal tradition from this area. This works quite Well and I must admit, I like those stones and you can also find a couple of them in my Garden to protect my House from evil influences. ~ by Otto on August 25, 2011. – mabye we have these art of culture – from our knowing, about it, long before, younger then the sun. I have two stones, very very old, from my dad – MoquiMarbles…they protect you from all badness malignities. Was nice, to talk with you about attractives themes. 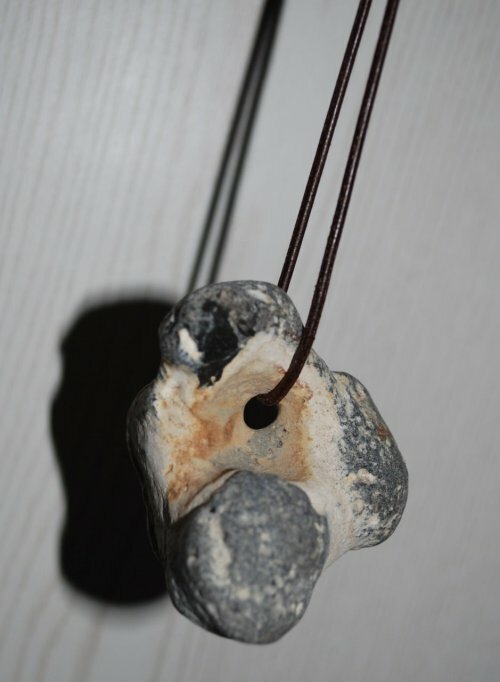 stonemagick.com look at us for beautiful, powerful Hag/Holey stones.